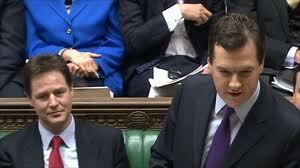 The Chancellor is being urged to make changes to the government-inspired Help to Buy scheme. With the Budget just days away – Wednesday 19 March – the influential Royal Institution of Chartered Surveyors (RICS) wants the scheme to be made more flexible so it can be adjusted to adapt to individual regions’ needs. In a pre-Budget statement, RICS said that 60 per cent of its members feel the move is necessary to make the housing market more sustainable. More than half of RICS members also want Chancellor George Osborne to restrict Help to Buy support to first-time buyers. RICS is not alone in voicing concerns about the scheme and its longer-term implications for the housing industry. Business secretary Vince Cable and former Bank of England governor Mervyn King are among the high-profile names who fear it could lead to a housing ‘bubble’. RICS says the government should focus on measures which are achievable in the rest of this Parliament to further drive property-led growth through a vibrant and sustainable market. Allocate more land for building, release public sector property for housing projects and support incentives to speed up the new-build process. RICS says the Budget is also an excellent opportunity for the Chancellor to address the “archaic” stamp duty levy by replacing the current “slab” structure with a more marginal rate of tax. Currently, the duty is charged at the highest rate on the whole of the purchase price, including the parts below the threshold, whereas under the marginal system the higher rate of tax would only be charged on the part that crossed the final threshold. “Beyond a driver for growth the residential property market is about building homes in the right place, at the right time and at the right price,” says the RICS statement. “Construction is about jobs, growth and new opportunities; infrastructure is about improving connectivity between our economic centres and planning is about delivery – giving people and businesses the control to shape the future of their communities. This entry was posted in Lifestyle and places, New homes - events, New homes update, News and tagged Budget, chancellor, first time buyers, Help to Buy, housing, housing bubble, housing industry, housing market, new builds. Bookmark the permalink.